According to a recent study released by the U.S. Hispanic Chamber of Commerce and Geoscape, the number of Hispanic-owned businesses in the U.S. is projected to reach 3.16 million in 2013, which is more than double the number of businesses owned by Hispanics in 2002. As relationship-based consumers, individuals of Hispanic communities form networks of support for one another, whether for business services or social connections. Addressing the needs of this community helps fuel entrepreneurism and creates opportunities for business development. By engaging employees in local nonprofits and organizations, businesses can help stimulate business growth and achieve community success. Businesses can implement this corporate responsibility in a variety of ways. Whether company leaders hold a position on the board of a civic group, organize service events or work jointly to raise awareness of a local need or cause, giving back will help create and maintain connections with their neighbors while demonstrating social responsibility and stewardship. Business leaders are in a unique position to implement change and launch programs that support their company’s missions and goals. Committing to the betterment of the community will strengthen networks and increase visibility of the company. Hold a board position – Company leaders who hold board positions for local civic groups have an opportunity to lead by example while upholding company values. This type of involvement offers leaders the chance to network with other executives to help develop community-focused platforms or programs. Reward volunteerism – Recognition from company leadership is an important tool for boosting morale and encouraging participation in programs. Consider hosting a lunch with employees to recognize successful programs and their individual contributions. Employee involvement in local groups will build trust and connections with community members. Offer employees time off for volunteerism on national nonprofit days or other dates that honor traditions important to the business or community. Create affinity groups – Employee resource groups enable people with shared passions to pursue and participate in organizations and events outside of the company. This offers freedom for employees to explore external interests while illustrating the company’s commitment to community values. Designate a day of volunteerism – Invite employees and leadership to provide a day of service to a local partner or nonprofit. The event will bring the company together to actively meet community needs and provide resources to those that need them. In general, Hispanics tend to make decisions based on personal relationships and referrals. The strength of the Hispanic business community relies on its ability to form and honor those relationships. Therefore, by displaying a passion to help lead and support the community, current and future Hispanic-owned businesses can succeed while providing a strong foundation for future generations. Local outreach and involvement has provided my business with a richer community experience by enabling us to connect with local leaders and professionals. Whether implementing internal or external programs, community outreach can help provide personal and career development and contribute to the overall betterment of the community. 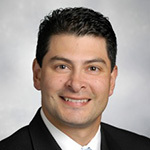 Michael Slabic is a financial advisor with Northwestern Mutual – Houston. Passionate about helping people achieve their financial goals, Michael has been with Northwestern Mutual* since 1996. A native Texan, Michael served as a reservist with the U.S. Marines for eight years while pursuing a Bachelor of Business Administration in Marketing from Texas A&M University. Married with three children, Michael supports his community through involvement in local groups, including the Texas A&M Hispanic Network, Junior Achievement, youth sports coaching as well as serving on the Board of Directors for Cypress Christian School in Cypress, Texas. *The Northwestern Mutual Life Insurance Co., Milwaukee, WI and its subsidiaries.